Discover the secret nightlife spots of Copenhagen with other travellers! 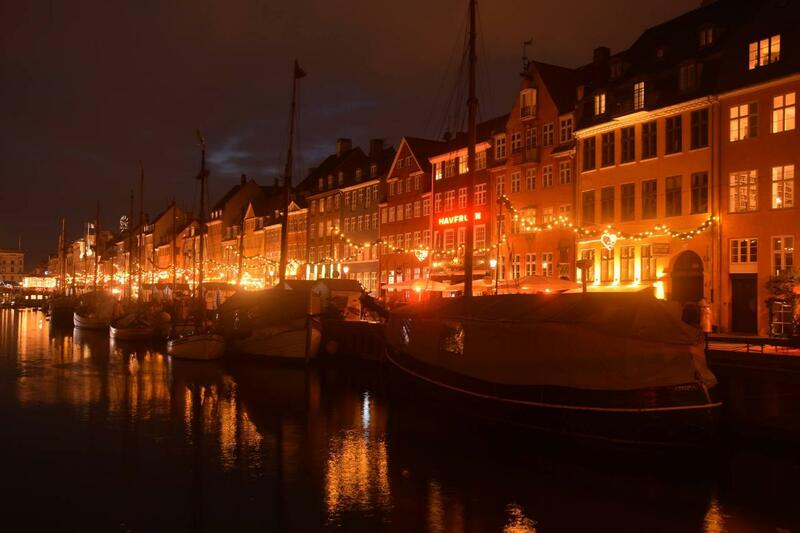 Explore the hip and beautifully illuminated areas of Copenhagen! An intimate tour with up to ten guests. You borrow our bikes until the next morning (or longer). This way, you can keep on exploring the city after the tour! 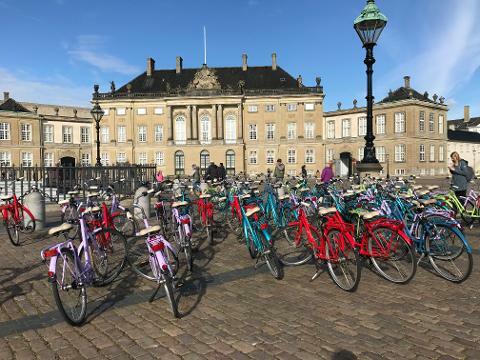 Choose this Friday evening bike tour if you want to explore Copenhagen in a different way. The city transforms into an idyllic illuminated spectacle with cosy and intimate areas which makes for a beautiful bike ride. During the tour you will go to bars and cafés where the locals like to go. Denmark is the country of hygge, a word that is not easily translated. It is best described as cosiness in cold and dark times, with friends and family. Hygge is an intimate form of cosiness and therefore hard to find if you don’t know where to look. Let our guide show you the way to the best hygge places, while he tells you about Danish culture and the city of Copenhagen. 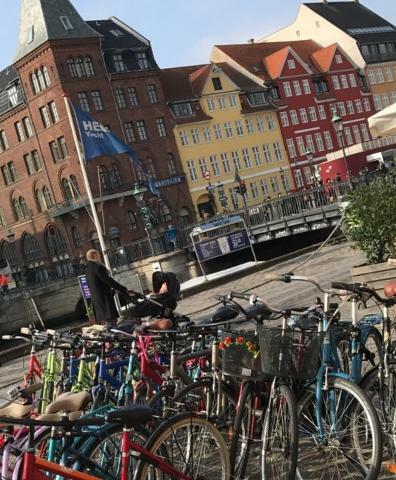 On this tour we will guide you through the most beautiful after dark spots in Copenhagen, off the beaten track and into areas outside the city centre. We will explore culture, hip areas and secret and hidden gems. We will have a short break in the middle on a unique location where there is the possibility to have a snack and a drink. This is the moment to ask your guide for personal tips on where to go on your map of Copenhagen. Which areas will you (at least) explore? We end the tour in a bar or cafe, especially chosen by the guide for that particular day, dependent on other activities in the city that night. You keep your bike until the next morning (or longer), so you can be flexible about where to go the rest of your evening!